The city council also governs the actions of the Municipal Utilities. 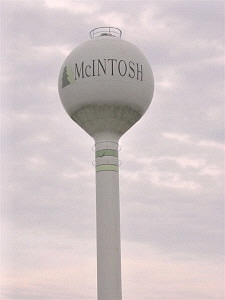 McIntosh operates its own water and sewer utilities. McIntosh has a well-trained volunteer fire department with safe and well-maintained equipment. The Polk County Sheriff’s Department provides on-call service for the community. The City constructed a new wellhouse and two new wells, the project was completed in June of 2008. The average daily water usage is 50,000 gallons. The water tower stores 150,000 gallons of water. The City has a sewage lagoon system consisting of two ponds. Garbage pick-up is every Thursday, provided by Bacon’s Dray Garbage Service. Water, sewer and garbage are billed by the City of McIntosh on a monthly basis at the beginning of the month and due on the 15th of the month. Otter Tail Power Company www.optco.com provides electrical service to the city. They can be reached at 800-257-4044 in Crookston, Minnesota. 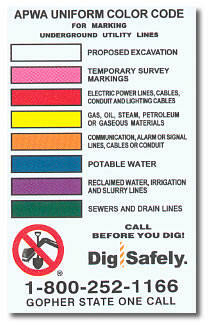 Provided by Garden Valley Telephone Companywww.gvtel.com . For service information, call 1-218-687-5251.